NGC 1350 (located at the center of this image) is a beautiful spiral galaxy located 87 million light years away in the southern constellation Fornax. It measures roughly 130,000 light years across: slightly larger than our own galaxy, the Milky Way. It is classified as a Sa(r) galaxy, meaning that it is a spiral with arms wound tightly enough to form a prominent central ring. The faint outer ring (called a "pseudo-ring") is sometimes added to the beginning of the classification with the designation "R'1. 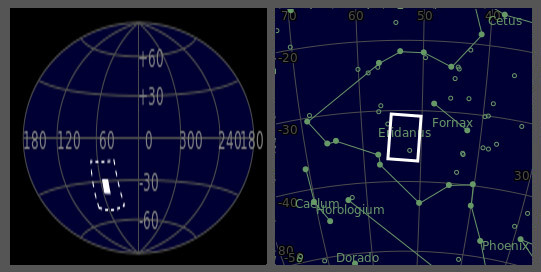 NGC 1350 is seen on the outskirts of the Fornax cluster of galaxies, but its estimated distance suggests that it is not a member. 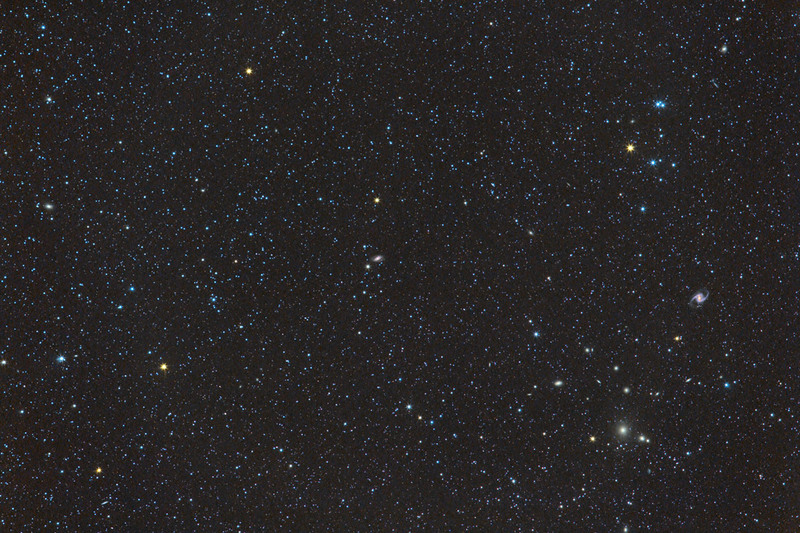 The Fornax Cluster is a cluster of galaxies lying at a distance of 62 million light-years (19 megaparsecs) .It is the second richest galaxy cluster within 100 million light-years, after the considerably larger Virgo Cluster. It lies primarily in the constellation Fornax, and may be associated with the nearby Eridanus Group. The Fornax Cluster is a valuable source of information about the evolution of such clusters, showing the effects of a merger of a subgroup with the main group, which in turn lends clues about the associated galactic superstructure.At the centre of the cluster lies NGC 1399. 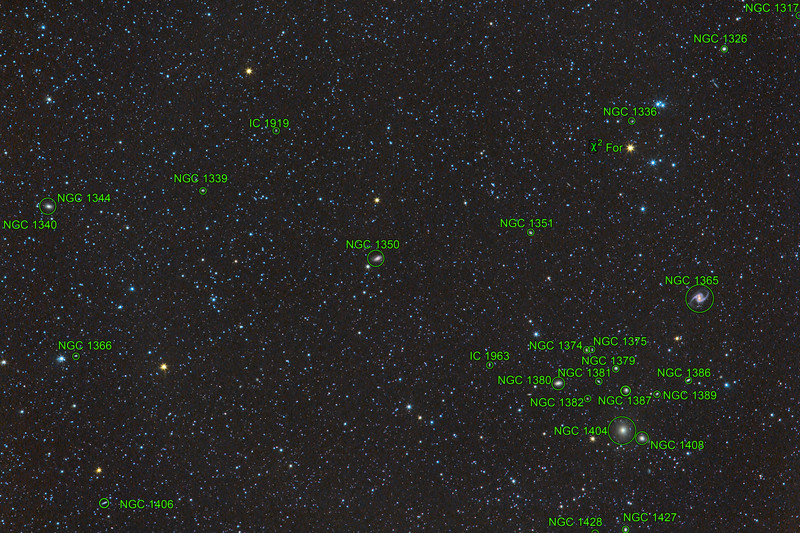 Other cluster members include: NGC 1316 -its brightest galaxy-, NGC 1365, NGC 1427A, NGC 1404.